We are selling by short notice private treaty on behalf of our client, a long established iron and steel foundry based in the Black Country, a Tilghman Wheelabrator (now known as Norican Disa Wheelabrator). This is a rotary table 1.8Metres Diameter, manually opening, 30KW blast wheel machine ready for continued use, having provided our client with a good many years of reliable, unblemished service as you would expect from the leaders in shot blast technology, Tilghman Wheelabrator. 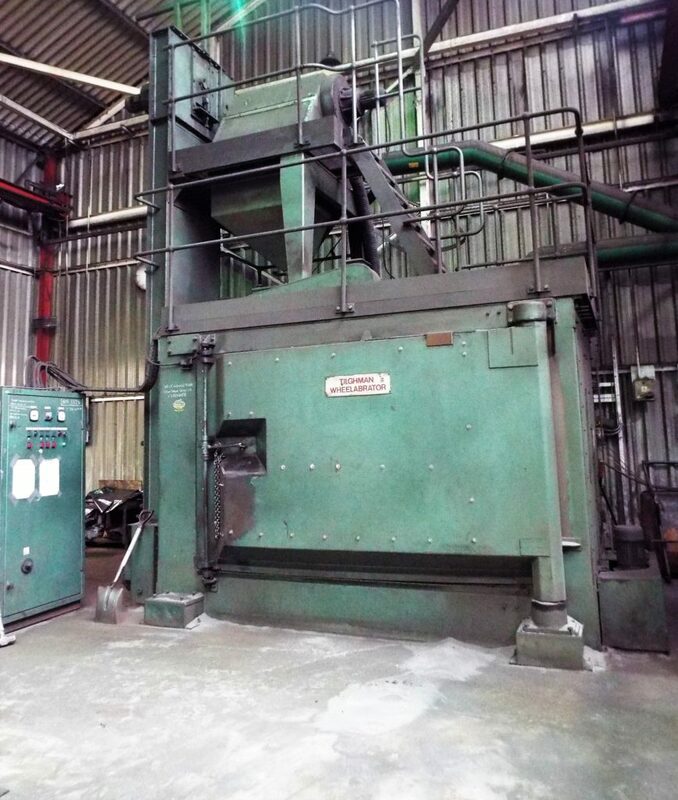 Only available due to a change in our client’s product mix, shot blasting machines with this capacity and of this build quality rarely, if ever, come to the second hand market. The images and videos in this brochure were taken by us on 22 March 2019.